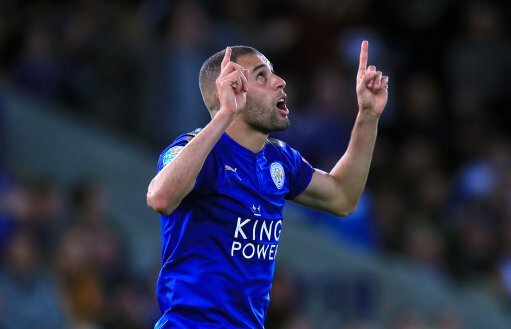 Leicester City forward Islam Slimani is reportedly the subject of interest from Newcastle United. The 29-year-old, who has dropped down the pecking order at the King Power Stadium, has scored 12 times in 20 starts and 21 substitute outings for the Foxes across all competitions. Stoke City, Watford and West Bromwich Albion have all been linked with the Algerian in recent months but a number of bookmakers claim St James’ Park as Slimani’s most likely destination this January. Newcastle manager Rafael Benitez is understood to be looking for reinforcements ahead of the mid-season as the Magpies have dropped into the bottom three after five consecutive defeats in the Premier League. Leicester could demand a hefty fee for the attacker having spent £29m ahead of the 2016-17 campaign. Slimani joined Leicester on a five-year contract from Sporting Lisbon only 18 months ago and he still has three-and-a-half years left.